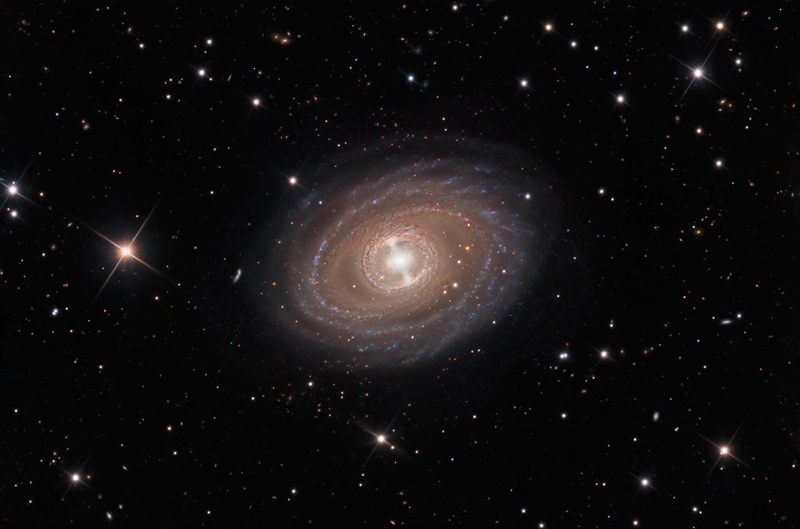 is a ﻿﻿highly symmetrical and unusual looking galaxy. Discovered by Friedrich Winneke in 1868 while comet hunting, the galaxy is 65.000.000 light-years distance from Earth. It is approximately 135,000 ly in diameter, making it about thirty-five percent larger than our own Milky Way galaxy. While its loose and dim outer arms are termed as flocculent (fluffy), its inner rings are well-defined and tightly wound, even appearing rope-like near the core. Its bright central bulge features a prominent and interesting bar. This is the first data set acquired by myself at SSRO.